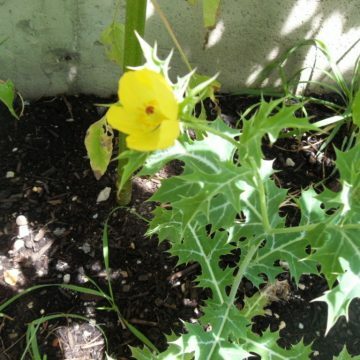 Glaucium Flavum, known as the Yellow Horned Poppy, is a biennial flower with relatively untapped medicinal potential. Like the Mexican Prickly poppy (Argemone Mexicana) and California Poppy (Eschscholzia Californica), the Yellow Horned Poppy is not a true poppy. 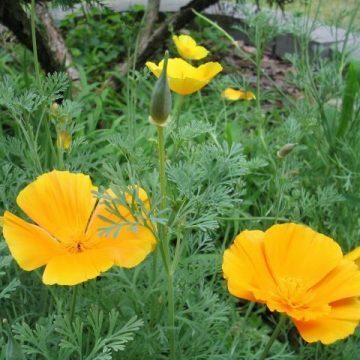 But it is in the papaveracea family and does secrete rusty-colored latex. Glaucium Flavum resembles the Mexican Prickly poppy (Argemone Mexicana) in appearance, and has a compound called glaucine that is used to treat pain and other conditions in both humans and animals. Glaucine is also found in lesser amounts in the Chinese herb, corydalis yanhusuo, and it is both structurally and medicinally related to THP, one of the primary alkaloids found in the rhizomes of corydalis yanhusuo. THP is known for its analgesic and relaxant properties, and glaucine is said to work similarly. Accordingly, both may be used as a sleep aids. Glaucine?s most notable use is as an antitussive (cough suppressant). Studies indicate anti-inflammatory and bronchodilator capabilities that can help counteract asthma and other breathing problems such as whooping cough and tuberculosis. In particular, it appears to counteract the effects of histamines that cause these symptoms. This is somewhat interesting since most bronchodilators are stimulants. Additional research is being done surrounding glaucine’s ability to suppress bacteria, viruses and cancer cells. Such research may have positive implications for sufferers of things like herpes, conjunctivitis and the flu. Glaucium Flavum is also said to increase the secretion of bile and has been used traditionally by those with gallstones, jaundice and liver diseases. It has also reportedly been used to clear up cataracts, and its sap has been applied externally to clear up warts. Glaucium Flavum does have a level of toxicity, and so it should be kept away from livestock and pets. Despite its medicinal potential, it is not recommended for use except when administered by a doctor. 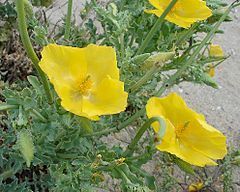 As an ornamental, the Yellow Horned Poppy has bright yellow-orange flowers and rosettes of thick, silvery, glaucous foliage. Growing to approximately 2 feet in height, glaucium flavum has a wide distribution range that includes northern Africa, western Asia and Europe. Hardy to zone 5b, glaucium flavum is particularly common to coastal regions and is appropriately called Sea Poppy by some people. The other name, Yellow Horned Poppy, is reflective of its long, horn-shaped seed pods, which contain numerous seeds. For short, glaucium flavum may also just be called horned poppy. 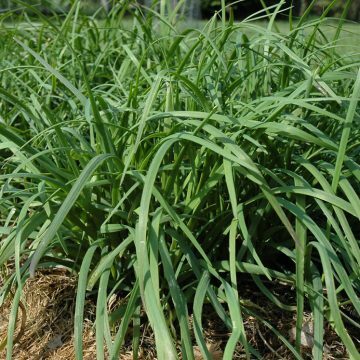 It requires little to no maintenance and will often reseed. Care should be taken to prevent unintended reproduction, such as removing the seed pods before they mature. Growing Information: Glaucium Flavum is generally considered easy to grow, but that does not mean it?s foolproof. Like true poppies, they tend to do best when planted in the early spring or fall. Otherwise, they will benefit from a few weeks of cold stratification. That means putting the seeds in a moist growing medium, which can be soil, paper towels, sand or moss, and then putting them in the fridge to simulate winter. After that period of cold, put them into normal growing conditions, which for this species is about 65 degrees Fahrenheit. Glaucium Flavum is a drought-tolerant species that enjoys soil on the drier side. 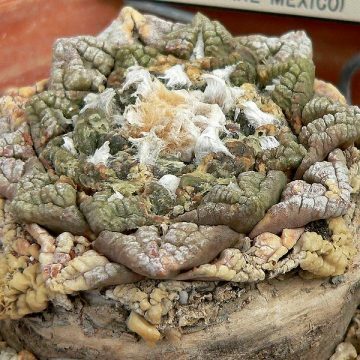 It is typically found in poor, rocky or sandy soils. It will even tolerate some salinity. So a well-draining soil is preferred. 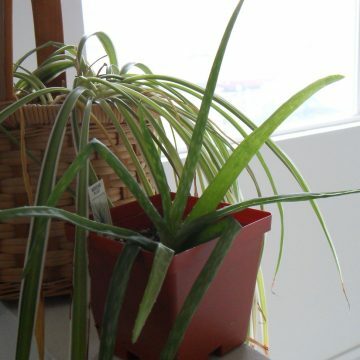 But it does not necessarily need to be devoid of nutrients. People have had success in fertile or average well-draining soil compositions. Germination may range anywhere form 1-8 weeks on average. It is common for temperature-sensitive species to have a variable germination times. World Seed Supply recommends planting these seeds where they will ultimately grow because they do not transplant well. But they can also be started in starter cells or any other way that minimizes the roots being disturbed during transplantation. A location in full sun is ideal, although some partial shade can be tolerated. A final spacing of about 12? is ideal. Take care not to overwater.